Will Coins Survive The Monetary Crisis? I continue to read your blog for 2 years I say and find it educational. I wanted to know what will happen to U.S. coins like pennies and nickels when the base metals are worth more than the coin value. Will the U.S. allow hoarders/collectors to exchange them for spot metal value or melt value? either one would be of course more than 0.01 for the penny and more than 0.05 for the nickel. ANSWER: When silver was removed from the coins after 1964, at first it was illegal to melt the coins down. The FBI were prosecuting people for melting the coins they called defacing. However, that quickly faded out as the law did not support their theory of defacement. 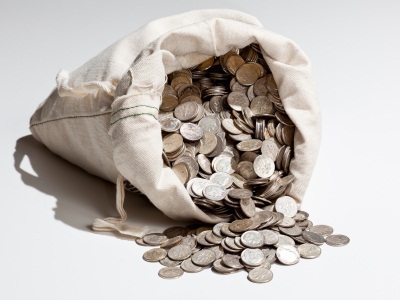 $1,000 bags of US silver coin traded even on the futures market in New York. This time around, it is not likely that we would see confiscation. We could once again see bags of coins trading as was the case even into the later 1970s.